Instagram released a dedicated application for sharing longer videos, called IGTV. The IGTV bring long-form, vertical videos from all the Instagram users to a single hub. The videos on IGTV is easy to view and share. The IGTV is also available through the dedicated button in Instagram App. In this article we explain what is IGTV and how to use it. What IGTV means to Instagram Users? Instagram gave everyone the opportunity to make, share and popularize content. This made them very popular. For IGTV also, Instagram decided to have a similar formula. That is; to focus more on real people, than studios and established businesses. Now IGTV users can enjoy content from their favorite personals and businesses. They also get to create and upload videos to share it with friends and family. What IGTV means to Creators? The official Instagram app allows only 30-second videos. This limits creators to share quality video contents to their followers. But IGTV is sunshine and rainbows for creators. It gave creators more opportunity to communicate with their followers through the platform. 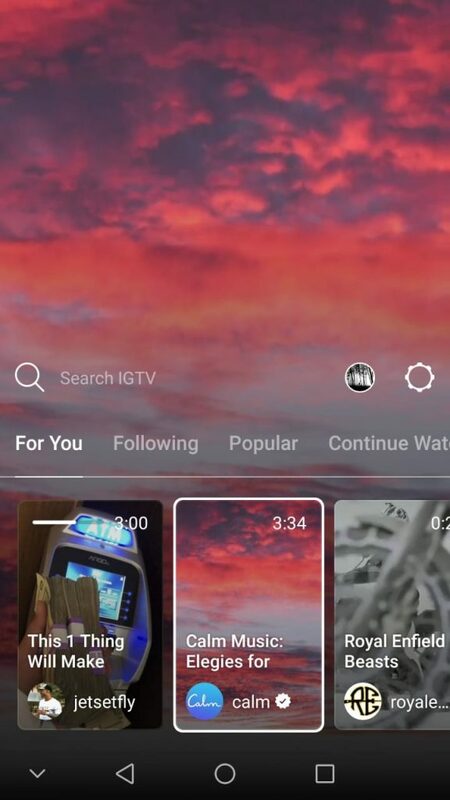 The persona of IGTV is to make a place for creators to share their unique style of vertical video contents. IGTV will enable new creators to leverage the newness of the platform to grow. Now, new creators can use this advantage to make as many followers before it gets saturation like YouTube. It is always better to keep the eggs in different baskets. Many successful YouTube personalities and creators are worried about the consequences of what happens when suddenly YouTube disappears from the Internet? 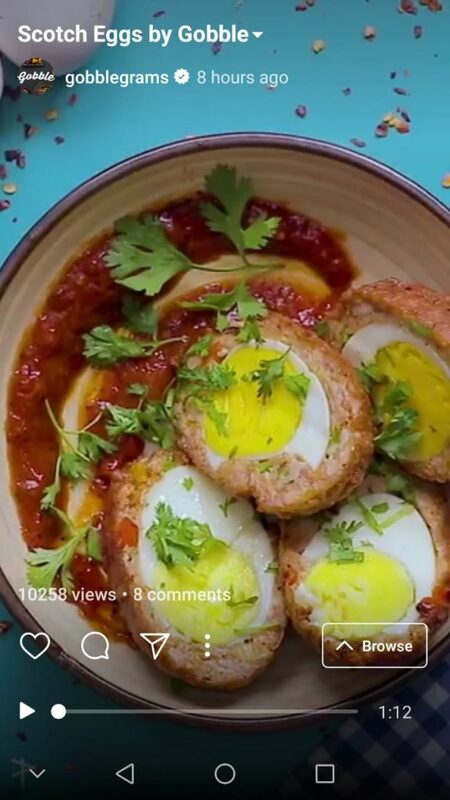 The main advantage IGTV provide to video creators is that its newness and possibilities can be easily used to garner followers by creating engaging and shareable content. The followers from the IGTV can be directed to support their fewer know channels in other platforms, like a YouTube channel to diversify their online presence. Already popular YouTube creators can also shout out their presence in the IGTV to keep up in the race. This helps creators to exist on multiple platforms rather than relying only on to one. IGTV is backed by more than one billion customers from the Instagram app itself, and this advantage gives it to rise as another popular platform where the creator can easily engage with their followers, and diversify their contents. At early stage, the IGTV ensure immense visibility to creators. The creators can leverage the situation to their advantage to grow more followers. IGTV has a long way to go if it wants to rival against YouTube. One of the main advantages YouTube has over IGTV is the diversity of its video contents. YouTube holds a plethora of video contents ranging from Science fiction to personalized videos from a broad range of video creators. 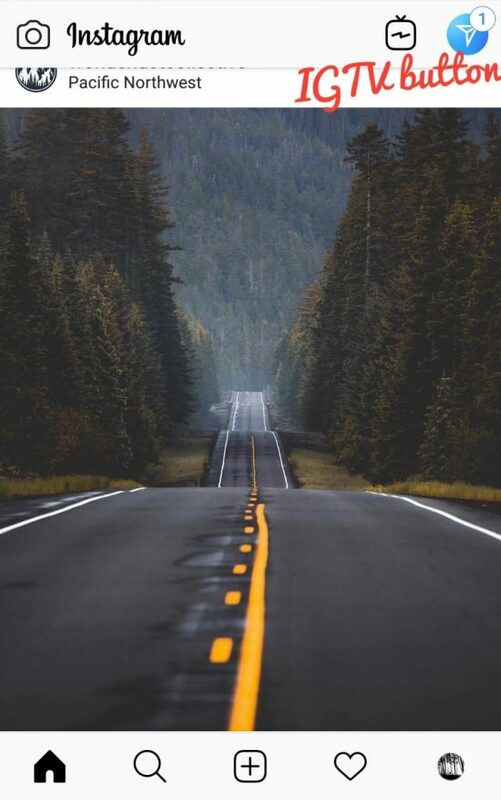 While the majority of web celebrities of IGTV focus on creating contents on subjects like travel, cooking, fitness, beauty, art and music. This creates a limitation of diverse video contents available in IGTV to satisfy the needs of a wide range of users. If IGTV wants to rival YouTube, it must act rightly to facilitate videos from all kind of creators to avoid being stereotyped. For example, The possibility of how Jordan Peterson lectures which make thousands of viewers on YouTube as well as Atheist Republic and other not-so-mainstream yet cult videos that generate huge views and likes, finds a place in IGTV will be a fun thing to watch. Now, Let’s check what is IGTV and How to use it. Instagram has borrowed the good old Television “noise” feature, mimicking a television watching experience. The app has unique features like the ability to swipe up to discover new content. It also has the flexibility to switch between different categories— For You, Following, Popular, and Continue Watching with just a tap. The “search IGTV” option allows users to search their favorite persons and businesses by name. The IGTV have access to features— the like, comment and share button, to engage with the video. The share button allows sharing of videos directly as messages. The three vertical dots when clicked pop up with — Report and Copy Link option. On the far right, a rectangular box — “Browse”, after click, pop up with a category box. This option can also be accessed by swiping up on the video playing screen. 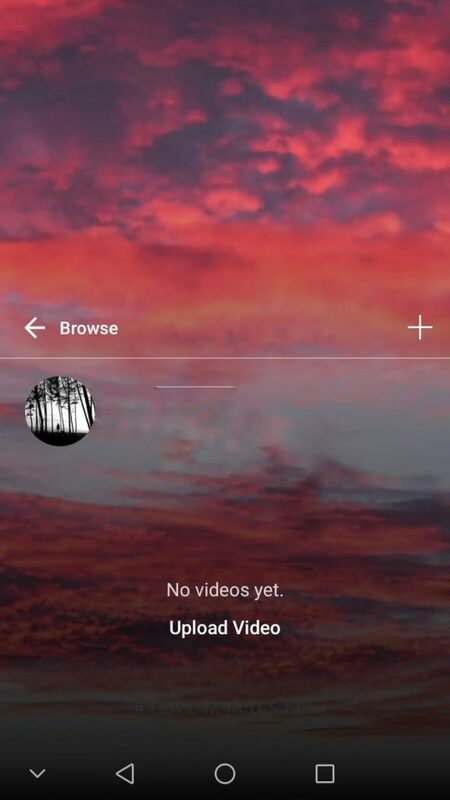 Instagram provides “channels” enabling Video creators to arrange their videos easily. It also enables to search and explore content easily. Video Creators can easily arrange their channels, and users can follow these channels to get fresh videos. How to create IGTV Videos and upload them? Well, Let’s dive into check how we can create a video through IGTV. Instagram allows anyone with an Instagram account to create and upload videos into IGTV. Users can shoot and upload from smartphones or upload fresh video content from the gallery by clicking “ Upload Video” option. For creators, certain guidelines are to be followed for video uploads. All videos must have vertical format. The long-form video content for IGTV must lie between 15 seconds and 10 minutes for normal accounts. For “verified accounts” and for accounts having huge followers, the upload videos limit is up to 60 minutes long but have to be uploaded from a computer, rather than from the app. Aspect Ratio — Minimum — 4:5, Maximum of 9:16. 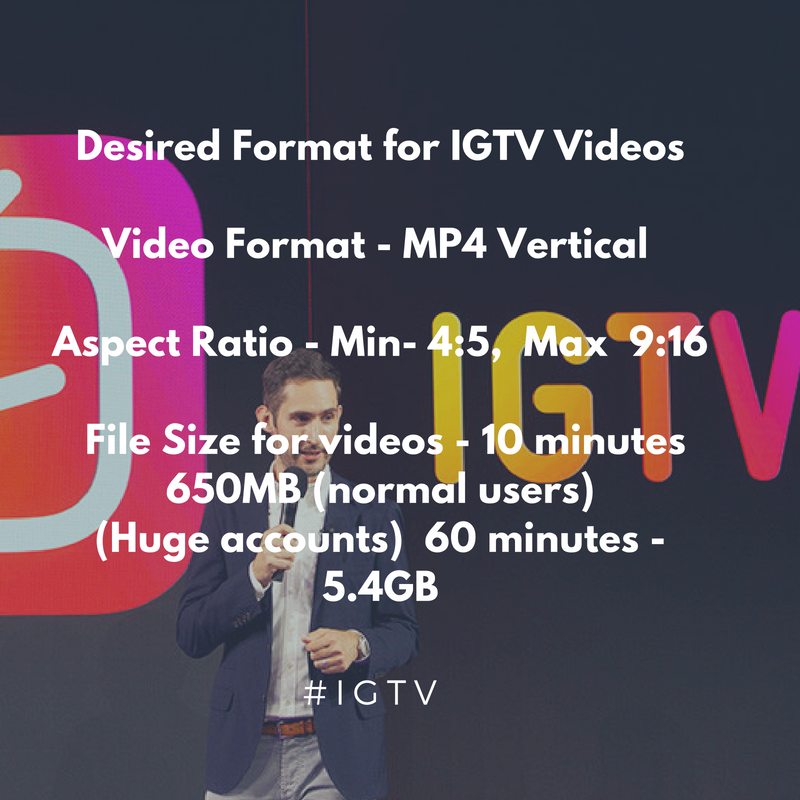 Maximum File size for videos — for 10 minutes — 650MB (normal users) . for 60 minutes — 5.4GB. 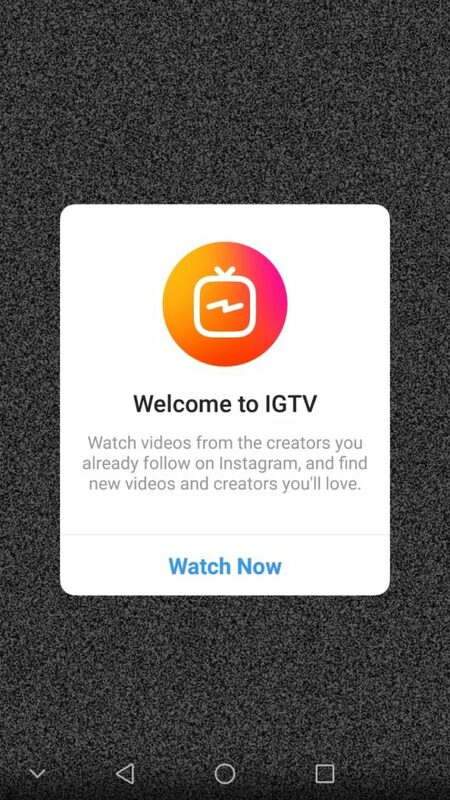 So, now you have idea about what is IGTV and how to use it to reach people. With all the promising features, let’s see how IGTV make traction in the coming days and how creators, as well as users, welcome the new offering from Instagram.